The George Mason University Child Development Center, where I worked almost twenty years ago, would probably still be considered progressive by today’s standards. In the four-year-old room, we had a wood working station, outfitted with real wood, real nails, and real hammers. Wearing protective eye gear the children would hammer away as they found new ways to get chunky pieces of wood to fit together. One day, a girl came to me, holding out her thumb and crying so hard that she wasn’t making any noise. Her thumb was huge and purple and it looked like it hurt. I jumped into action and fixed her up as best I could and then, with a few encouraging words, sent her on her way to continue pounding away. About ten minutes later, she gave me something. She’d found a large round piece of wood into which she’d hammered nails to look like eyes and a nose. She’d used markers to draw a mouth and hair and she’d written “Thanks!” across the forehead. I still have that work of art, and it reminds me that children are clever and resilient and if we empower them and trust them they won’t give up until they’re the ones who are satisfied. A few years later I started working at Keshet, a much more traditional Jewish preschool. What I remember most about my time there is cooking with the children. 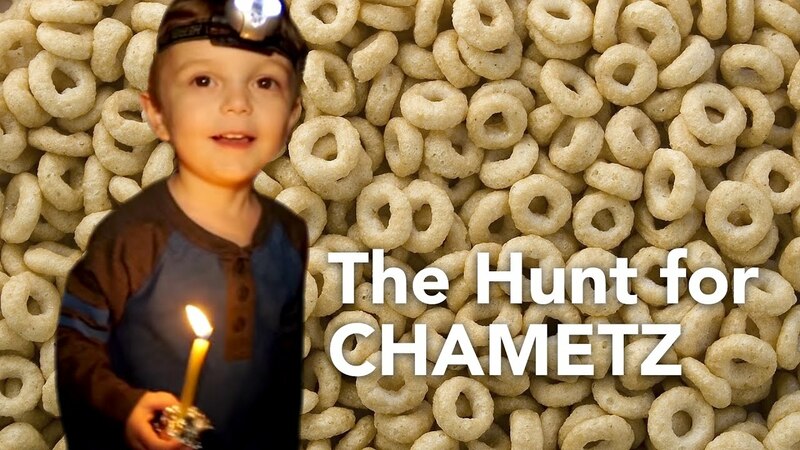 We mixed and kneaded and braided and baked lumpy challahs every Friday; we made over-sized and over-filled hamantaschen every Purim; and for Pesach I let them decide how much cinnamon and sugar to add to the charoset, which meant a lot. Baking with children, especially Jewish baking, is going to be a hands-on sensory experience. It’s going to get messy and it’s going to take at least three times as long as you think it should. You have to be willing to let go a little and not worry so much about measuring just right or not kneading too much. Forget that little bit of eggshell. Children live Judaism when they bake Jewish food, and by smelling and tasting what they’ve made with their own hands they’re making Jewish memories that will last them a lifetime. In 2005, my son started preschool at Reggio-Emilia inspired Beverley Hills parent co-operative. One of my favorite pieces of art from his days there wasn’t even made by him; it was made by the friends on his birthday committee for him. They interviewed him and found out what he liked best. That week it was trucks. Working together, and carefully guided by their teacher, they brainstormed what to make him and how, using what materials. Equipped with good paper, water colors, fine-tipped black markers, buttons, and fabric pieces, they worked for a week and created a work of art and presented it to him on behalf of the class. It hung in our family room for years, a reminder of the gentle simplicity of a handmade gift, and it now hangs in my office, a reminder of what children are capable of when given the right materials, the right environment, and the right guidance. I’m looking forward to a school year here at Agudas Achim Preschool full of risk-taking, creative baking, and beautiful art making, and I hope you are too!